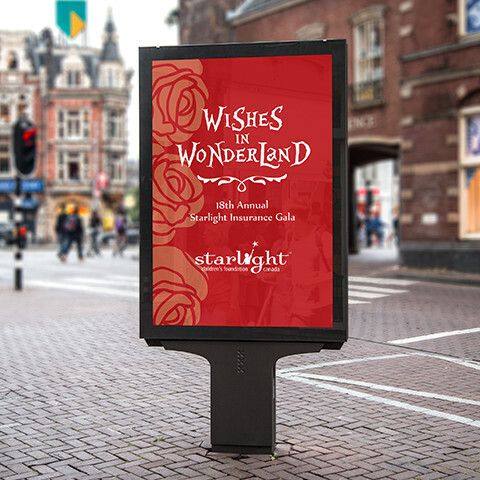 Held Annually, the Starlight Children's Foundation Gala is a charitable event created to raise money to improve hospital experiences for children and chronically ill teenagers. In addition to creating various poster artwork for the annual event, I also created presentation artwork for visual displays. This project was created in Illustrator and saved out as vector artwork for its ease in scaling the artwork up to larger sizes.